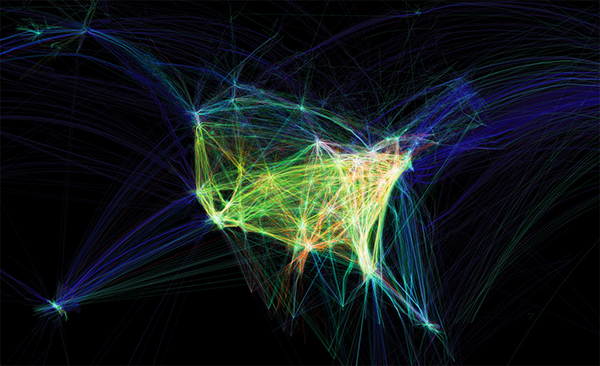 Data from the U.S. Federal Aviation Administration processed to create animations of flight traffic patterns and density. Further flight studies including altitude and aircraft type can be found here and here. 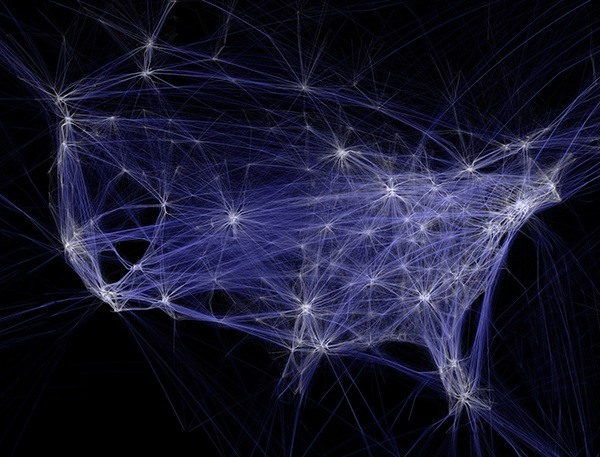 Image depicts flight patterns over North America centered on the United States. This work was originally developed as a series of experiments for the project "Celestial Mechanics" by colleagues Scott Hessels and Gabriel Dunne at UCLA. FAA data was parsed and plotted using the Processing programming environment. The frames were composited with Adobe After Effects and/or Maya. Visit original project website here.